We thrive on helping our clients get the most out of their marketing. Part of our brand promise to our clients is providing “bright ideas.” Anyone who knows us knows we love color. But more importantly, “bright ideas” means that we offer a service to help clients think creatively…sometimes well before it’s time to design. 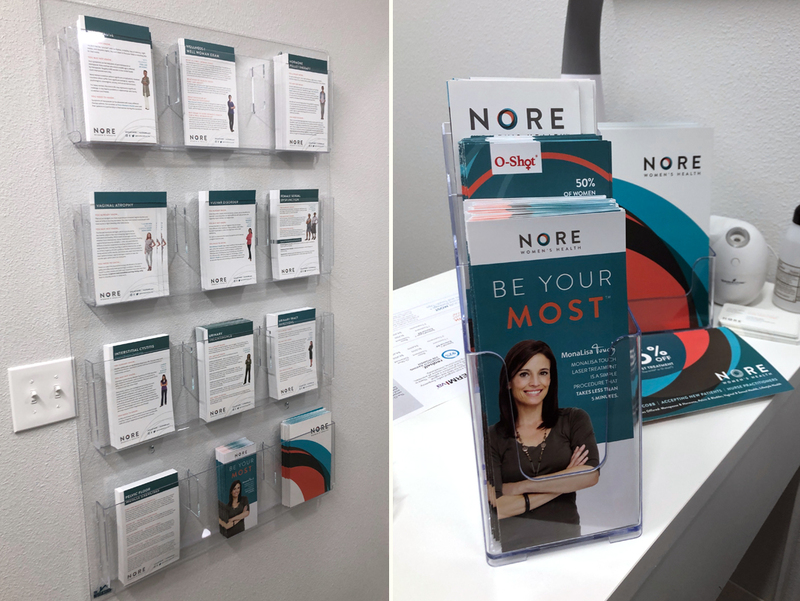 Recently we began partnering with, Nore Women’s Health, a nurse practitioner group that opened last fall in West Cobb. They’re an innovative medical practice that helps women going through the stages of menopause feel good again. They offer treatments to women who have felt unheard for too long. Their slogan is “Be Your Most” and the excellent reviews they’ve received in their first few months make it clear they’re living their brand promise. Before opening to the public, Nore reached out to Annatto to help spread the word to the community about their needed services. While our first projects with them were responsive to needs they already had, our relationship has evolved into one that is collaborative. When they have a business goal they want to achieve, they invite us to the table to think ahead with them. Annatto adds a creative dimension to Nore’s team. Additionally, we’re helping them create processes around marketing for the future. For example, when they host an event or want to offer a special, they can refer to checklists with detailed design information. Pieces can include anything from social media banners to lobby signage and website graphics. Having an organized list to pull from will help them easily and quickly communicate what will be needed, saving time and marketing dollars. Take a look at this vibrant window dressing. This graphic was our first project with Nore and it needed to achieve both marketing and functional purposes. First, Nore was opening in a few short months and wanted to catch the eyes of women in the area. The West Cobb Center is located in the Village at Old Trace, close to The Avenue at West Cobb and several other high traffic shopping centers. While Nore wanted to get attention with a window design, the practice also needed privacy for patients in the waiting room. And they needed shade. Patients love the bright, happy and sunny space at Nore—but a lot of windows mean it can also be blinding in the morning and late afternoon. And one more thing…we had to work around the county’s graphic rule – only 50 percent of the window could be covered. The vinyl we used still allows light to gently filter in, so the space has a sunny and modern vibe. While we would have loved to have more window space to tell our client’s story, it turned out beautifully. The thoughtful positioning offers privacy from a nearby drive-thru. And, it’s doing a great job getting attention from customers of neighboring businesses. The staff at Nore says that women who are nearby for physical therapy or pediatric care have stopped in and booked appointments. We also created some colorful retractable banners so the office staff can draw attention to their mission and tell their story in the community. 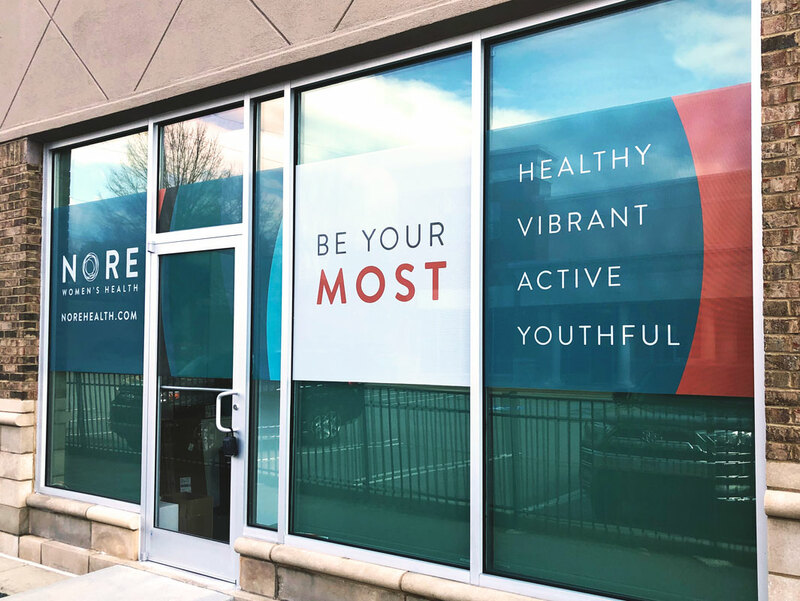 The NORE team has hosted booths at local 5Ks, fitness centers like OrangeTheory and community events like Owl-O-Ween at Kennesaw State University. Nore’s nurse practitioners say the banners have helped them get attention at the events and ultimately, book new patients. Building a strong partnership with Nore continues to be the primary focus of our relationship. With each new project we are able to understand more about the business, its target market and company values. In turn, we can intuitively translate these details into their branding. 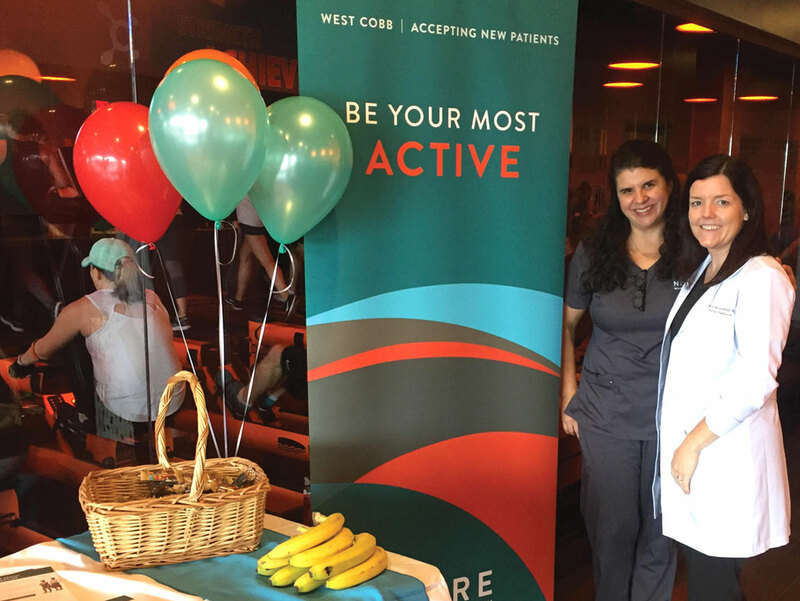 By being there at their grand opening, other women’s events they host and offering our services during collaborative sessions, we get to know the ins and outs of their business. That allows us to think proactively and really contribute in a meaningful way. As a new business, Nore has appreciated the help thinking through all of their marketing challenges. For example, after a short time in business, Nore’s staff realized that not all of their patients may like to reference additional medical information online. But that’s where the nurse practitioners put after-visit summaries and important information for patients. To help address this challenge, we collaborated with the practice to develop symptom and treatment handouts with extra space for the nurse practitioners to add notes during their patient visit or for the patient to write questions in post-visit. Patients have said they find this personal touch very helpful. 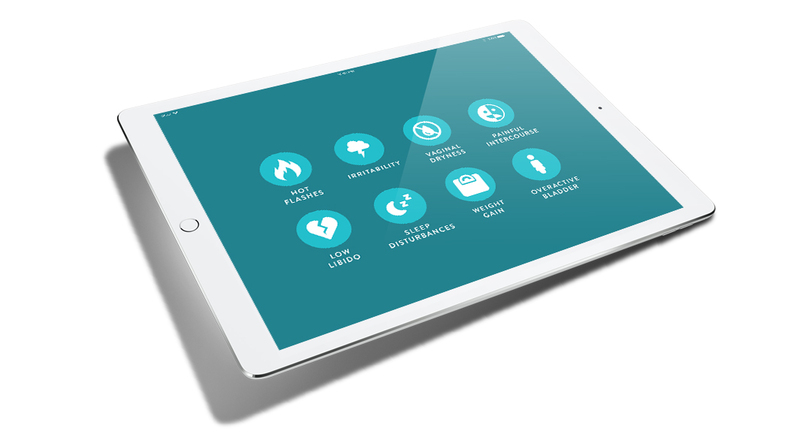 Since we often meet in the practice, we noticed tablet screens in the exam rooms and offered to create marketing or educational designs that could cycle through. They’ve been helpful in promoting some of the practice’s reduced-price “ladies night out” events, like Botox & O-Shots. It’s refreshing to work with clients like Nore who allow us to live our brand promise and offer bright ideas that have a real impact on the community. We think what Nore is doing for women is incredible and we’re excited to help them however we can. At Annatto, we love projects that are complex, pulling elements together to create a consistent overall brand. When clients want us to add that extra dimension to their team, we ask ourselves, “How can we make sure our clients are completely prepared?” Ultimately, we help clients achieve their goals, and that makes our smiles as bright as our ideas. To get bright ideas for your business, invite Annatto to the table. Give us a call at 678-773-0523 or tell us about yourself.